Study up on Azerothian science with 135 experimental new cards in the latest expansion for Blizzard Entertainment’s internationally acclaimed digital card game. For a limited time, players can log in to Hearthstone to claim three free packs and a class Legendary card. 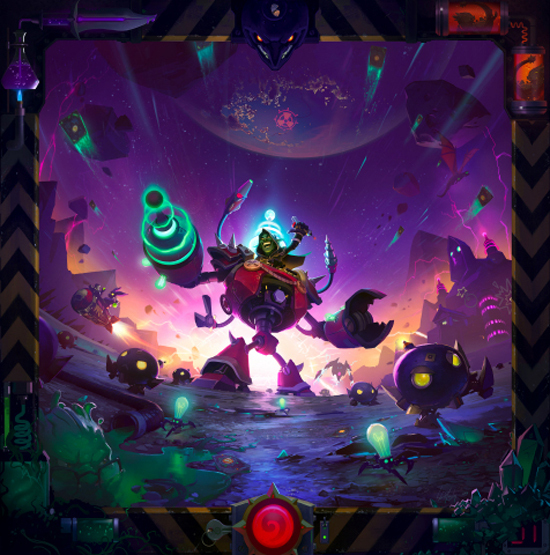 The Boomsday Projectis available now for Windows and Mac PCs; Windows, iOS, and Android tablets; and iOS and Android phones. Card packs can be purchased individually or in discounted bundles from the in-game Shop for gold or real-world currency at the same pricing as all other Hearthstone card packs. Players now have the chance to win The Boomsday Projectcard packs as quest rewards or prizes in the Arena, and can also craft cards from the expansion by using Arcane Dust collected from disenchanting unwanted cards. With more than 70 million players worldwide, Hearthstone is Blizzard Entertainment’s internationally acclaimed, free-to-play digital card game designed for novice and veteran card-slingers alike. Players can choose from nine powerful hero classes and customise their decks with minions, spells, and weapons based on the unique fantasy of the Warcraft universe. Featuring a variety of game modes ranging from epic head-to-head duels to story-driven solo adventures, Hearthstone offers a vibrant and rewarding experience stacked with strategy, personality, and fun. Hearthstone is available globally for Windows and Mac PCs; Windows, iOS, and Android tablets; and mobile phones.